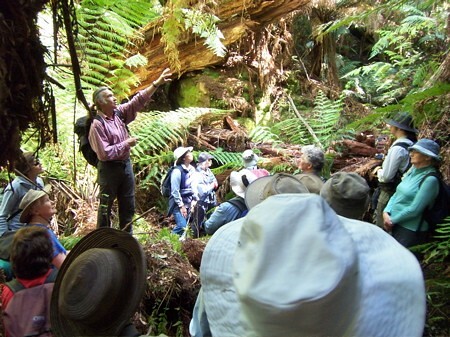 We were guided along a magnificent fern gully by property-owner and naturalist Arthur Clarke. Francistown is near Dover in southern Tasmania. Arthur showing us Dicksonia antarctica treeferns towering overhead. Some are thought to be 350 years old. 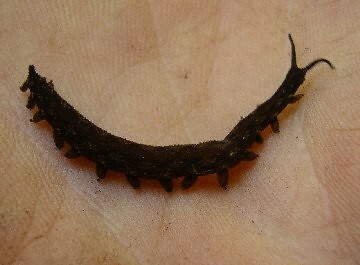 Although conditions were generally dry in Lyrebird Gully, there were a few fungi. 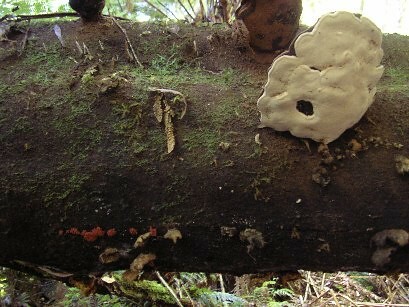 Here 4 or 5 species of fungi occupy different environmental niches on a fallen log. 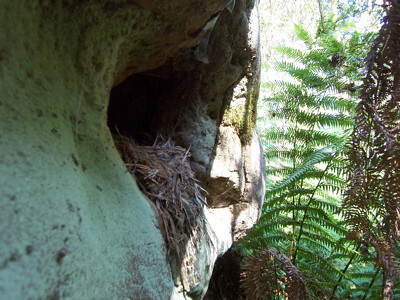 A bird's nest in a hole in a cliff, possibly belonging to a Grey Shrike Thrush. 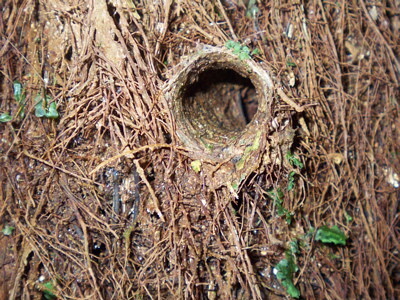 A lid-less trapdoor spider's hole in a treefern trunk. 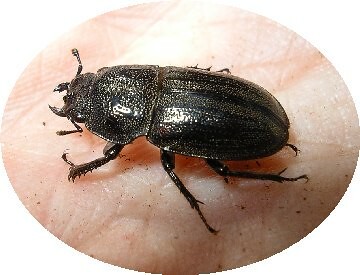 The Mt Mangana Stag Beetle Lissotes menalcas is on Tasmania's Threatened Species List. 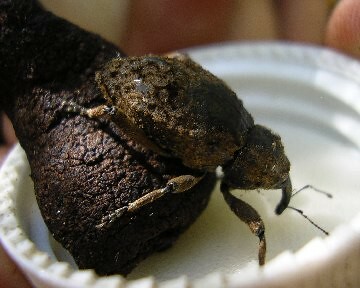 This large weevil Poropterus satyrus was found feeding on a very decayed mushroom. see first 3 photos at Caving, Feb 2006 . 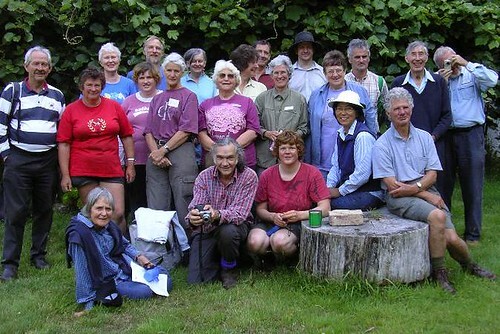 Happy naturalists in Arthur's luxuriant garden after the excursion. Photos by Qug McKendrick King, Geoff Fenton, Robyn Kramer.